As humans, we have a natural instinct to help others in need. 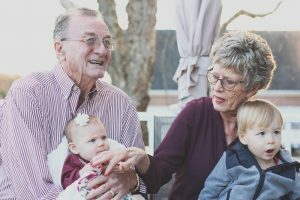 Despite how much you tough you think your life is, when you find someone who could use your help, you may have the tendency to reach out to their assistance. This is why sometimes you feel personally responsible for others. Aside from our intuition to be compassionate, doing charitable acts are also found to be rewarding. There is a popular Chinese saying that goes: “If you want happiness for an hour, take a nap. If you want happiness for a day, go fishing. If you want happiness for a year, inherit a fortune. If you want happiness for a lifetime, help somebody.” A published study from Harvard Business School has shown the happier people give more, and the act of giving makes them even happier. These is an utterly rewarding feeling from providing help to those in need. Before going further to the community, start with your core social group first. Reassess your relationship with your family and evaluate how much help you have provided them in the recent years. Find opportunities to reach out to them and find out how you can be of help your parents, siblings, and other relatives.Sometimes adults could get too occupied on their own lives that they forget to give attention to their parents. Adults often assume that when their parents need anything, they will speak up. However, more often than not, it is the exact opposite. Older people tend to hesitate to express their declining strength or loneliness from being apart from their children. Find time to meet up or pay a visit to your parents or grandparents just to chat or enjoy some coffee and tea. From here, you can find out any chances to help them. It could be as simple as accompanying them to the supermarket, mowing their lawn, or inviting them to your child’s soccer game. Regular visits and communication with them would definitely be appreciated every time. Being reassured that they are still part of your life would definitely make them happier. 2. Pay a visit to a senior center. Most senior centers are filled with residents who are left there because their families are gone or are unavailable to care for them. A lot of residents do not get frequent visits from their loved ones making them feel isolated and lonely. Because of this, the senior residents grow desperate for conversations with people outside the center. Spending an hour or two a week to visit a senior center can make a big impact on the lives of the residents. Getting visits would definitely lift up their spirit and develop a more positive outlook in their life. You can drop for a chat over brunch every once in a while to share personal stories. You might even learn some valuable lessons in life who have gone through the journey before you. 3. Volunteer at a local school. It is known that schools perform best when the community and guardians are involved in the academic functions. However, most parents remain unconcerned about school matters and they often believe that other people should be responsible for this. This is why your local would always appreciate an extra helping hand. Besides, spending your time to help nurture the youth will always be time well spent. It is vital to the children’s upbringing to have a role model they can look up to — someone who they can find inspiration from. Giving time to the students of a local school will improve the quality of education for them. If you are athletic, you may volunteer yourself as a coach to the school’s sports teams or help organize sporting events. 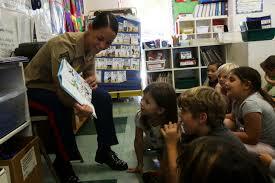 If you have a knack for teaching, you can spend time tutoring students after class hours. You can also do something as simple as sprucing up the school campus, may it be in form of cleaning, repainting, or the likes. Animal lives are every bit as important as human lives. Sadly, a lot of people do not realize this that’s why we have understaffed and underfunded animal shelters. Each year, more than 6 million animals are taken to shelters and over half of them are euthanized because there are not enough good homes for them and the facilities are also limited to accommodate all of them. You can help the lives of the animals in shelters by volunteering. The tasks could be as easy (and fun!) as walking the dogs, cleaning up after them, refilling water bowls, and giving out toys and treats. The greatest contribution you can give to an animal shelter is to adopt one for yourself and give them a new home. Instead of buying a new pet from a pet shop, why not rescue an animal from the shelter? Pets from shelters could turn into the most adorable companion when given the chance of getting a new home. Shelters sure do their best to provide excellent care for their residents, but having a home with their own loving owner is still the best for these animals. If you know someone from your friends or family who are ready to care for a dog or cat, encourage them to rescue an animal instead of buying from a breeder. Planting trees is one of the easiest and most sustainable ways to positively affect the environment and the community. In this age of infrastructures, buildings after buildings are being built so rapidly. Forest trees are being cut to build more residential and commercial establishments at the cost of our environmental health. This is why now more than ever, we need to plant more trees! Trees are our lifeline to cleaner air and a healthier environment. There are many reason why having more trees is absolutely essential. They provide people clean air by producing oxygen. Having more trees moderates the effects of sun and wind, and they clean the air by trapping dust, pollen and other pollutants. Trees also provide shelter and food for animals such as birds, squirrels, and more. If you have some space in your yard, plant as much trees as your place can accommodate so you can look after their growth. 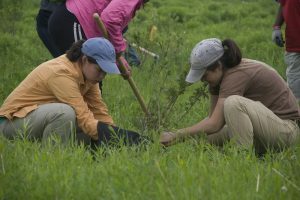 If none and you don’t know where to start, there are plenty of environmental organizations that arrange events for tree planting that you can join. This will also help you get more educated on how you can help the environment. Helping promote a healthy environment will benefit you and the community in the long run. These are just a few ways you can channel your free time to contribute to the betterment of the society. With these simple acts to give back to the community, you can start living a fulfilling life helping the world become a better place for everyone.